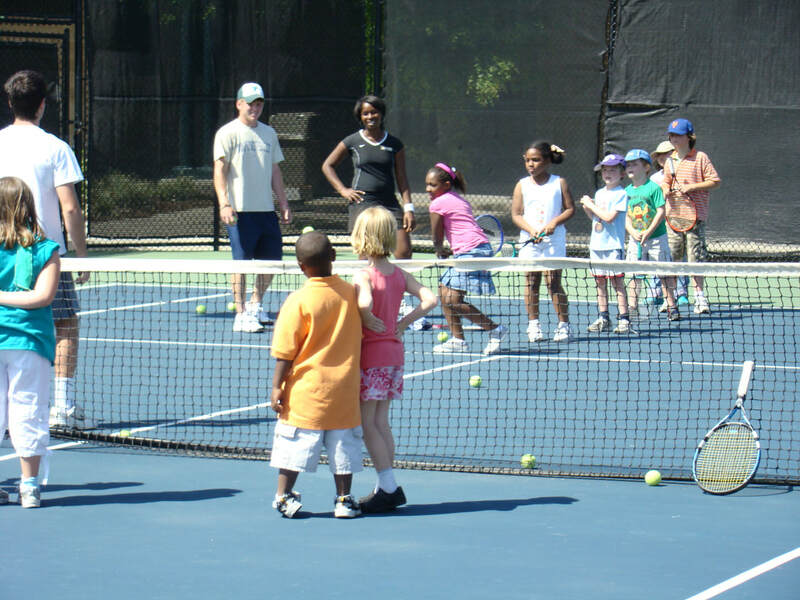 A's & Aces is a 501 (c) 3 nonprofit organization founded in 2008 with a mission to provide academic assistance, life skills and tennis to New Orleans public school children and others who seek access to high-quality academic assistance and tennis. Our sport-based youth development model is used to expose and engage many, while retaining all with high interest in using tennis to assist their pathway to college and life. Click here for a list of 2019 Louisiana Junior Tournaments recommended for A's & Aces participants. Click here for info about the three A's & Aces 2019 Summer Tournaments presented by IBERIABANK. ​A's & Aces was incorporated as a nonprofit in January 2008, holding its first event that May at Tulane's Goldring Tennis Center. "National Junior Tennis & Learning 2017 Organization of the Year"
A's & Aces was honored as 2017 National Junior Tennis & Learning Organization of the Year by Tennis Industry magazine. The publication’s January 2018 issue is the magazine’s 17th annual “Champions of Tennis Awards,” which honors people, businesses and organizations dedicated to improving the sport and business of tennis. The Award was presented at a banquet held at the Hyatt Regency New Orleans ballroom. Click here to read the article about A's & Aces in Tennis Industry, on p.37. Let Amazon Donate to Us Whenever You Shop! If you are an Amazon Shopper, please use AmazonSmile! It provides the exact same services, but, by selecting A's & Aces and using the Smile version, the AmazonSmile Foundation will donate to help our kids every time you shop!! AmazonSmile is a simple and automatic way for you to help support A's & Aces every time you shop, at no cost to you. AmazonSmile is a website operated by Amazon that lets customers enjoy the same experience of shopping on Amazon.com—but the difference is that when customers shop on AmazonSmile (smile.amazon.com,) the AmazonSmile Foundation will donate 0.5% of the price of your purchases to the charitable organization you select. Click here to learn how easy it is to select A's & Aces and help put smiles on our kids' faces! Continuing to improve tennis skills takes lots of practice. It means mastering the basics and finding your own style. USTA Player Development videos are a great way for parents to learn many of the skills that we are teaching your children. Check them out on our "Parent Training Info" page. 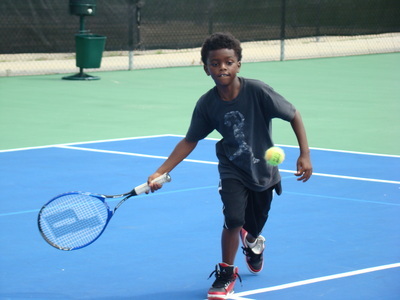 The 2019 A's & Aces - NORD Spring Jr. Open, a STA/LTA-Level 5 tournament, was held at Joe Brown Park Tennis Center on the first weekend of April. Nearly 60 boys and girls competed in age divisions ranging from 8s-18s, with 26 student-athletes from A's & Aces - including boys who finished 1st & 2nd place in the 16s, 10s green and 10s orange singles, and girls who won the 10s orange and 12s singles. ​To view all results click here, choose Draws at the bottom of the page, then choose an age/gender Event from the menu. The A's & Aces 10 & Under Excellence Team (“Team McNulty”) traveled to College Park, MD on July 26-29, 2018 to compete and learn with 13 other USTA National Junior Tennis & Learning teams selected from across the country. Competitions featured matches, a Relay Race, and academic activities (essay contest, spelling bees and a monuments quiz). In tennis A's & Aces defeated Chicago and Dallas, while losing closely to two NYC teams (#4 Harlem & #5 Bronx) and #3 Boston. Our team finished 8th overall, with all A's & Aces attendees representing the organization well! The A's & Aces Team placed 2nd in Sportsmanship, and Teah was recognized for the top Essay! Activities for coaches and parents included Coaching Education and Parent Sessions presented by USTA coaches and other experts (including Navigating the Junior Tennis Pathway, Compete like a Champion Parent), sightseeing/monument tour, and attending a Professional Team Tennis match (Philadelphia Freedoms at Washington Kastles). A’s & Aces has been selected to participate in this USTA Foundation sponsored event in each of the last three years. 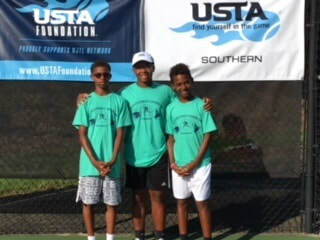 Other teams include Las Vegas, Philadelphia, College Park, MD, Minneapolis, Atlanta, and Dorchester, MS.
​The 2018 Regional NJTL Tennis & Leadership Camp was held in Birmingham, AL (July 19-22, 2018) at Samford University. Eight Southern section NJTL chapters with 3 student-athletes spent 4 days at Samford University. The experience included tennis (drills and shootouts), team-building activities, a guided field trip to Sloss Furnace (the only blast furnace in the U.S. to be designated a National Historic Landmark), Community Service Leadership Exercises, a Civil Rights Museum/16th Street Baptist Church Guided Tour, and a UAB field trip that included swimming and other activities. Special thanks to the STA for making this event possible! 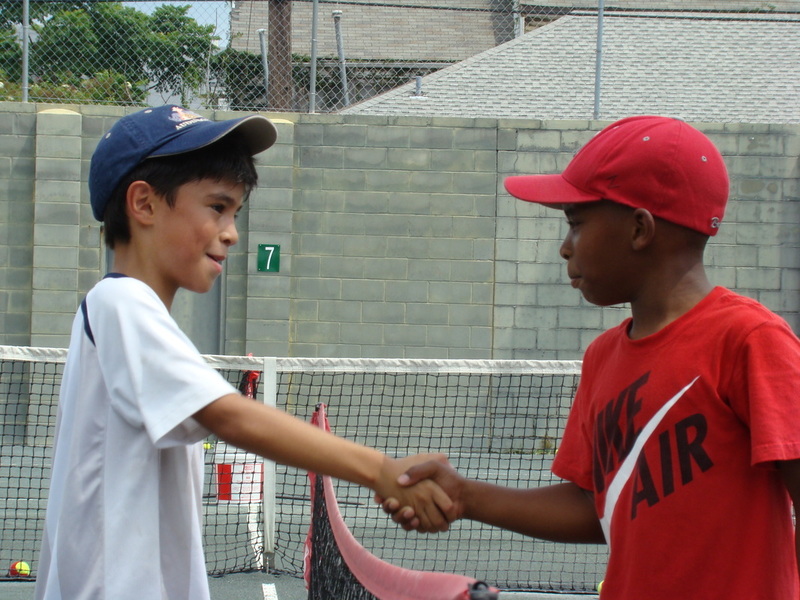 This summer A's & Aces hosted two USTA tournaments to provide many of our younger campers with competitive opportunities. Both events were dominated by our players, earning ranking points and gaining valuable experience. About 50 players competed in each tournament, in divisions 8's-12's. THANK you, "Momenta Project 2018", for donating professional services to help tell our story through photos. ​Click here to view these photos on our PHOTO GALLERY page. Second Serve Tennis Center maintains a "drop box" where anyone can donate new or used shoes that will be given to deserving A's & Aces student-athletes. 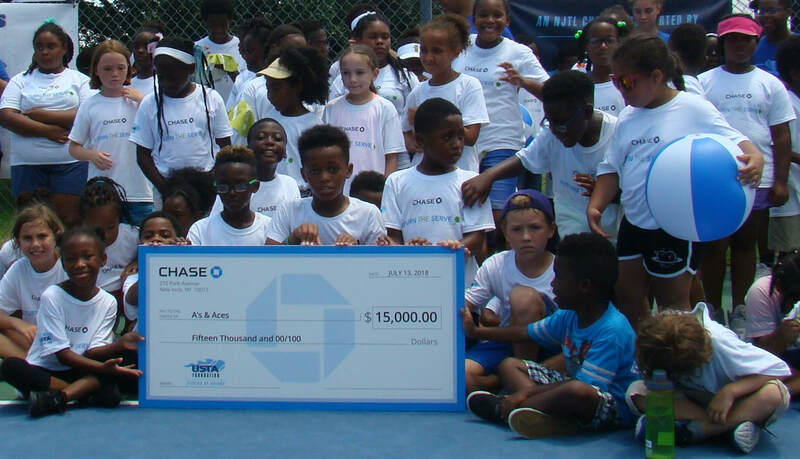 As part of the JPMorgan Chase & Co. (Chase) commitment to the communities in which they serve, Chase provided $150,000 across ten key markets to local youth tennis and education programs. A’s & Aces is a beneficiary of this donation, and received a $15,000 grant to increase programming and provide more youth the opportunity to learn and grow from the sport. ​The New Orleans 2018 Chase RETURNTHESERVE event was held July 13 at Joe Brown Park for our 10 & U campers who enjoyed many fun tennis and learning activities. Click here to view more photos of the event on our Photo Gallery page. NJTL 2012-13 & 2017 National "Chapter of the Year"
Among over 600 NJTL chapter organizations across the country, the United States Tennis Association honored A's & Aces as the National Junior Tennis & Learning "Chapter of the Year" for 2012-13 and produced the video below as part of the award.​ (Click the photo below to play the video.) Tennis Industry magazine selected A's & Aces as NJTL "Chapter of the Year" again in 2017. Some may, initially, think that tennis is "just a game" and is the least important component of A's & Aces' tripartite mission. Actually, tennis is the key. It unlocks barriers. Sports-Based Youth Development is recognized as an unparalleled way to engage underserved, disadvantaged, and minority populations. While character developing life-skills and academic support are critical to having successful, productive lives, the sport of tennis also provides the ability to build social, academic and career networks through playing a fun, life-long, global, non-contact, co-ed, team and individual sport. This provides incredible benefits to our participants - and for society.